Grand Finale was the official name of Cassini’s last act: a risky orbit between Saturn’s rings and atmosphere in an attempt to explore the planet up close, right before the craft went up in flames. Prof. Yohai Kaspi and Dr. Eli Galanti of the Weizmann Institute’s earth and planetary sciences department led one of the studies on Cassini’s final mission, revealing the depth of Saturn’s jet streams – the strongest measured in the solar system, with winds of up to 1,500 kilometres per hour – and found them to reach a depth of around 9,000 kilometres. Teaming up with research partners in Italy and the United States, their study also helped reveal the age of the planet’s rings. The findings of these studies were published this month in Science. Cassini was one of the more successful planetary missions, orbiting and returning information on Saturn and its moons for the last 20 years. As the mission was approaching its end, it was decided to end its life with a non-circular orbit swinging in very close to the planet, followed by a final plunge into the gaseous mass. Kaspi and Galanti joined the Cassini team following their work as part of NASA’s Juno science team, which had employed a similar orbit to produce the most reliable measurements yet of Jupiter’s atmospheric depth. The Cassini scientists thought it would be possible to do the same for Saturn, and the Weizmann scientists were called in to apply their methodology to the Saturn measurements. 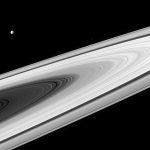 In the same study, the researchers analyzed the Grand Finale data from Saturn’s rings, finding they are at most 100 million years old. That is quite recent in the 4.5-billion-year history of the solar system. The planet in the night sky at the time of the first dinosaurs was, apparently, without the rings we know today. For more on the research being conducted at the Weizmann Institute, visit wis-wander.weizmann.ac.il. 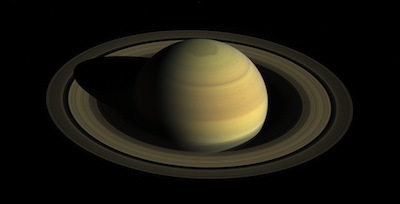 New NASA research confirms that Saturn is losing its iconic rings at the maximum rate estimated from Voyager 1 and 2 observations made decades ago. The rings are being pulled into Saturn by gravity as a dusty rain of ice particles under the influence of Saturn’s magnetic field. “We estimate that this ‘ring rain’ drains an amount of water products that could fill an Olympic-sized swimming pool from Saturn’s rings in half an hour,” said James O’Donoghue of NASA’s Goddard Space Flight Centre in Greenbelt, Md. “From this alone, the entire ring system will be gone in 300 million years, but add to this the Cassini-spacecraft measured ring-material detected falling into Saturn’s equator, and the rings have less than 100 million years to live. This is relatively short, compared to Saturn’s age of over four billion years.” O’Donoghue is lead author of a study on Saturn’s ring rain appearing in Icarus Dec. 17. Scientists have long wondered if Saturn was formed with the rings or if the planet acquired them later in life. The new research favours the latter scenario, indicating that they are unlikely to be older than 100 million years, as it would take that long for the C-ring to become what it is today assuming it was once as dense as the B-ring. “We are lucky to be around to see Saturn’s ring system, which appears to be in the middle of its lifetime. However, if rings are temporary, perhaps we just missed out on seeing giant ring systems of Jupiter, Uranus and Neptune, which have only thin ringlets today,” O’Donoghue added. About a third of the food produced for human consumption is estimated to be lost or wasted globally. But the biggest waste, which is not even included in this estimate, may be through dietary choices that result in the squandering of environmental resources. In a study published in the Proceedings of the National Academy of Sciences of the United States of America, researchers at the Weizmann Institute of Science in Rehovot, Israel, and their colleagues have found a novel way to define and quantify this second type of wastage. The scientists have called it “opportunity food loss,” a term inspired by the “opportunity cost” concept in economics, which refers to the cost of choosing a particular alternative over better options. Opportunity food loss stems from using agricultural land to produce animal-based food instead of nutritionally comparable plant-based alternatives. The researchers report that, in the United States alone, avoiding opportunity food loss – that is, replacing all animal-based items with edible crops for human consumption – would add enough food to feed 350 million additional people, or more than the total U.S. population, with the same land resources. “Our analysis has shown that favouring a plant-based diet can potentially yield more food than eliminating all the conventionally defined causes of food loss,” said lead author Dr. Alon Shepon, who worked in the lab of Prof. Ron Milo in the plant and environmental sciences department. The Weizmann researchers collaborated with Prof. Gidon Eshel of Bard College and Dr. Elad Noor of ETZ Zürich. The scientists compared the resources needed to produce five major categories of animal-based food – beef, pork, dairy, poultry and eggs – with the resources required to grow edible crops of similar nutritional value in terms of protein, calories and micronutrients. They found that plant-based replacements could produce two- to 20-fold more protein per acre. The most dramatic results were obtained for beef. The researchers compared it with a mix of crops – soya, potatoes, cane sugar, peanuts and garlic – that deliver a similar nutritional profile when taken together in the right proportions. The land area that could produce 100 grams of protein from these crops would yield only four grams of edible protein from beef. In other words, using agricultural land for producing beef instead of replacement crops results in an opportunity food loss of 96 grams – that is, a loss of 96% – per unit of land. This means that the potential gain from diverting agricultural land from beef to plant-based foods for human consumption would be enormous. The estimated losses from failing to replace other animal-based foods with nutritionally similar crops were also huge: 90% for pork, 75% for dairy, 50% for poultry and 40% for eggs – higher than all conventional food losses combined. “Opportunity food loss must be taken into account if we want to make dietary choices enhancing global food security,” said Milo. Milo’s research is supported by the Mary and Tom Beck Canadian Centre for Alternative Energy Research, which he heads; the Zuckerman STEM Leadership Program; Dana and Yossie Hollander; and the Larson Charitable Foundation. Milo is the incumbent of the Charles and Louise Gartner Professorial Chair. The U.S. National Aeronautics and Space Administration (NASA) recently released the first findings of the Juno research spacecraft, which entered Jupiter’s atmosphere last year. 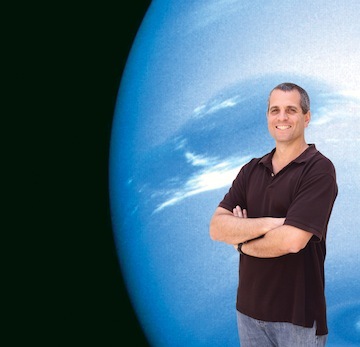 The Weizmann Institute of Science’s Dr. Yohai Kaspi is a senior member of the Juno mission team. The reason why this research is so important, he said, is because it will allow us to better understand how the solar system was formed. “To do that, we really need to understand Jupiter and how it was formed because, then, we can understand earth, in sequence,” said Kaspi. For Kaspi, the fascination with space came at the early age of 7, when his dad shared some pictures of the Voyager I and II and took him stargazing. His interest grew from there, including when he was navigating in the Negev while in the Israel Defence Forces. 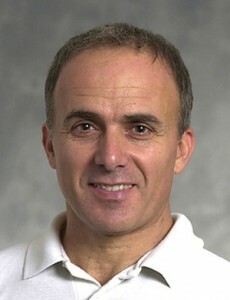 Kaspi studied math and physics at Hebrew University before heading to the United States, seeking adventure and a doctorate at Massachusetts Institute of Technology. Soon after, he was recruited to be a professor at the Weizmann Institute of Science. While at MIT, Kaspi became connected to the Juno mission, developing instruments to help measure atmospheric conditions on Jupiter. While Jupiter is by far the biggest planet in the solar system (11 times the diameter of earth) and has the greatest mass (300 times that of earth), it is a gas planet (i.e. 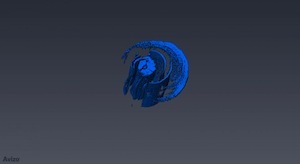 it has no liquid or solid parts). Kaspi has studied Jupiter’s different weather zones and deltas. “I developed a theory for understanding how deeply they extend,” said Kaspi. “When you look at Jupiter, you have this red and white belt, or zone. That’s all at the cloud level, so it condensates at the same temperature. But, we have no information what’s happening underneath them. What we needed was a global way to survey what was happening underneath the cloud layer. And that’s exactly what Juno is. Kaspi has been involved with Juno since 2008, along with 30 to 40 other scientists who form the core of the mission, developing and designing the experiments, and interpreting the data. “We’re trying to deduce the depths of the flows from the gravity measurements of the planet,” explained Kaspi. “The purpose is to see what’s happening inside the planet. It has nine instruments and each one probes in different ways what is happening in the planet’s interior. “One is a gravity instrument…. We send a beam from the spacecraft to earth. The beam travels 800 million kilometres and reaches earth. A desert in California captures that beam. It was only when we first saw earth from space that we were able to understand the changing atmospheric conditions that are part of what is largely considered part of climate change, said Kaspi. “We’d be able to understand how the solar system was formed, including earth,” he said of one of the project’s possible results. “For example, it’s really important for us to know if there’s a core inside Jupiter. A planet with a big or small core would have a different effect on the gravity field. When we measure the gravity field, we can deduce what’s happening deep inside the planet, which would lead us to different theories of how the solar system was formed. The data-collecting portion of the Juno mission will come to a close at the end of this year. After 10 years of research and six orbits, the data will be analyzed to determine the direction of the mission going forward. 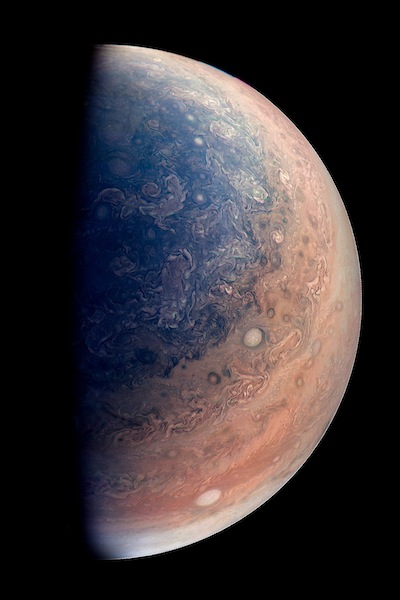 Regardless of the results, Kaspi will continue the work he is doing at the Weizmann Institute on climate change and working on an instrument that will be sent to Jupiter on board the 2022 spacecraft being built by the European Space Agency. The public can follow the Juno mission on Facebook at facebook.com/nasajuno. Building Dialogue through Science, or BDS, is the purpose of a new website, israelbds.org, which features the many and varied scientific studies that rely on close collaboration between Israeli researchers and those in different countries. These studies range from the SESAME synchrotron, a Middle Eastern facility based in Jordan that serves life-sciences researchers from Egypt to Iran; efforts to discover the processes that lead to the stellar explosions known as supernovae, in which Israeli researchers are alerted to possible events in the California night sky; brain research; quantum physics studies; scientific archeology; and much more. Featured on the website are popular articles that describe the history of Israeli-international scientific cooperation, research that has resulted from that cooperation and the people involved, as well as links to scientific papers. The hope, indeed, is that anyone visiting the website will understand what the world stands to lose from cutting off ties to Israel’s researchers and preventing students and labs around the globe from benefiting from Israeli advances. Israeli science is open to collaboration with anyone, independent of their political opinions. 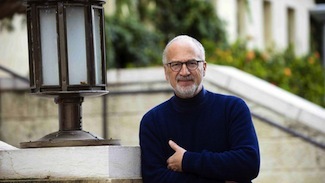 “Research thrives on the meeting of different worldviews, and it is important to preserve that freedom to meet and discuss, even with those with whom we don’t always agree,” said Zajfman. Say someone claims to have developed a system to “capture” any odour in the form of a digital code – one that could be transmitted online or uploaded to the internet and faithfully reproduced at the receiving end. How could we be sure that the system is valid? In other words, how can we know that, for any possible odour someone has captured digitally and transmitted, the smell we receive is indeed a recognizable, fair rendition of the original? Prof. David Harel of the Weizmann Institute of Science’s computer science and applied mathematics department explains that, as opposed to video and audio, an odour reproduction system is still far from viable, although some of the components already exist. “We still don’t understand the process by which the numerous combinations of odourants in our environment are identified and sensed as a particular smell in our brains after they enter our noses, attach to the several hundred kinds of odour receptors there and are transferred to the brain as signals,” he said. But he and his colleagues had, already 15 years ago, laid out the basic principles of such a digital smell system. This system would need a “sniffer” – a sort of artificial nose – to take “snapshots” of the odourous substances in the air. It would also need a “whiffer” that, something like a colour printer, would be able to mix a fixed set of around 50 chemical odourants in precisely given proportions – something in the way a printer mixes a small number of inks – and release measured amounts of the resulting odour into the air accurately, in a controlled manner. Harel believes that such systems will eventually exist, pointing out that research is continually improving our understanding of how smell is “encoded” and how we perceive it. Although reasonably good sniffers and whiffers exist, the tantalizing scientific challenge is to work out the algorithm for connecting the sniffer’s reading into the whiffer’s emission; that is, a method is needed for translating any given odour into precise instructions for the whiffer to follow. The output mixtures would have to be experienced by humans in the way that photos are today – as reproductions that our sense recognizes as faithfully capturing the original. Harel devised a “lineup” test, whose key feature is the immersion of odours with their natural audio-visual references, thus eliminating the need for verbal description. A team of neutral testers is given several short video clips – for example, of a bakery, a zoo, a dusty attic, a flowering meadow, etc. – and is asked to match an odour emitted by the sniffer with its correct clip. The clips are prepared by a team of challengers, whose role is to try to disprove the claim that the proposed system is valid. To make sure that the test is fair – for example, the subjects won’t be required to identify the odour of a damp cave hidden from view in the clip of a meadow scene – the group is divided into two. One half is exposed to the actual odours collected and preserved at the video sites, and the other to the artificial, chemically reproduced odour created by the sniffer-whiffer system. That way, the second team of participants – those smelling the whiffer output – are required only to correctly match the odour to its clip when the first team – those exposed to the real odour – succeeds. As in the Turing test, the artificial is pitted against the natural in a blinded experiment, but here the test uses odour immersion for recognizability, and the test is asymmetric, requiring from the artificial no more than is required from the real thing in order to be declared successful. While studying trees during his postdoctoral fellowship, Dr. Tamir Klein made such a startling discovery that his research supervisor at the University of Basel at first declared that it must have been a mistake. In the forest, trees are known to compete for resources such as light and nutrients, but Klein found that the same trees also engage in sharing: he showed that carbon molecules taken up by the canopies of mature spruce trees were passed through the soil in large quantities to neighbouring beech, larch and pine. As he reported in Science in 2016, the carbon was being transferred via “underground highways” formed by overlapping networks of root fungi. In his new lab in the Weizmann Institute’s plant and environmental sciences department, Klein follows up on these findings to investigate tree ecophysiology: how the tree functions in its ecosystem. Only five percent of Israel’s land is covered by forest, but the country nonetheless offers unique advantages for forest research: its hot, dry climate provides an opportunity for investigating how trees adapt to drought and stress. Many trees common to Israel are already resistant to drought; understanding the mechanisms that allow them to live with little rain may help develop varieties of lemons, almonds, olives and other tree crops that can grow in even drier areas. Projects in Klein’s lab aim to clarify how trees manage their water and carbon budgets – both separately and as a forest community. In one study, the team focuses on emboli: tiny air bubbles that form inside the tree’s water channels during drought. When drought persists, the emboli can kill a tree, much like blood vessel clots that can cause a fatal heart attack in a human being. After injecting fluids into tree branches at different pressures, Klein and his students analyze the emboli in the minutest detail, using micro-computed tomography. In Weizmann’s greenhouses, Klein’s team members experiment with seedlings of pine, cypress, carob and other trees commonly found in Israel. The researchers make use of advanced technologies, including nuclear magnetic resonance imaging, to study hydraulic conductivity in trees and a special lamp-equipped belowground camera to study the growth of tree roots in the soil. When conducting field studies on their research plot near Beit Shemesh, Klein and his students hug trees – not to have a spiritual experience, but to follow a tree’s growth by encircling the trunk with a measuring tape. In parallel, they apply laser isotope analysis and analytical chemistry techniques to trace carbon metabolism in individual trees, and they investigate carbon transfer among trees via different types of fungal “highways.” The scientists also employ thermal imaging, which enables remote temperature measurements, to study the rate of evaporation in the foliage. Klein is the incumbent of the Edith and Nathan Goldenberg Career Development Chair. His research is supported by Nella and Leon Y. Benoziyo; and Norman Reiser. More on Weizmann Institute research can be found at wis-wander.weizmann.ac.il. Lung cancer is the leading cause of cancer death worldwide, responsible for some 1.59 million deaths a year. That figure is due, in part, to the fact that the cancer often returns after what, at first, seems to be successful treatment. And the recurring cancer is often resistant to the chemotherapy and other drugs that originally drove it into remission. According to new research by the Weizmann Institute’s Prof. Yosef Yarden, a new strategy involving a three-pronged approach might keep an aggressive form of lung cancer from returning. The research arose out of some puzzling results of clinical trials, said Yarden. One class of relatively common lung cancers, which carry a particular mutation in a receptor on the cell membrane, called EGFR, can be treated with a sort of “wonder drug.” This drug keeps a growth signal from getting into the cell, thus preventing the deadly progression and spread of the cancer. But within a year, those with this mutation invariably experience new cancer growth, usually as a result of a second EGFR mutation. To prevent this from happening, researchers had tried to administer another drug, an antibody that is today used to treat colorectal cancer. This drug also obstructs the passing of the growth signal by stopping EGFR. Even though the antibody drug should have been able to effectively block the EGFRs – the growth receptors – including those generated by the second mutation, clinical trials of this drug for lung cancer did not produce results. “This finding ran counter to everything we knew about the way tumors develop resistance,” said Yarden. How do the cancer cells manage to circumvent the blockade put up by an anti-EGFR antibody? In the new study, which appeared earlier this month in Science Signaling, Yarden and his student, Maicol Mancini, discovered what happens to cancer cells when they are exposed to the receptor-blocking antibody. “The blocked receptor has ‘siblings,’ other receptors that can step up to do the job,” explained Yarden. Indeed, the team found that when the main receptor (EGFR) continued to be blocked, one of the cell’s communication networks was rerouted, causing the siblings to appear on the cell membrane instead of the original receptor. The finely tuned antibody did not block these, and thus the cancer cells were once again “in business.” The researchers uncovered the chain of protein communication in the new network that ultimately leads to appearance of the sibling growth receptors. This new network may overcompensate for the lack of the original receptor, making it even worse than the original. In addition, the team found that the rewired network sometimes included the participation of another molecule, known as receptor tyrosine kinase MET, which specifically binds to one of the siblings. This signaling molecule is often found in metastatic cancers. Once the researchers discovered how the blockade was breached, they set out to erect a better line of defence. Yarden and his team created new monoclonal antibodies that could target the two main growth receptor siblings, named HER2 (the target of the breast cancer drug Herceptin) and HER3. The idea was to give all three antibodies together – the two new ones and the original anti-EGFR antibody – to preempt resistance to the treatment. Indeed, in isolated cancer cells, applying the triple treatment prevented them from completing the rewiring necessary for continuing to receive growth signals. Next, the team tried the three-pronged approach on mouse models of lung cancer that had the secondary, resistance mutation. 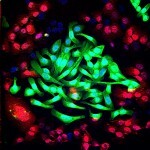 In these mice, the tumor growth was almost completely arrested. More importantly, further research showed that this treatment reined in the growth of the tumor while leaving healthy cells alone. Also participating in this research were Drs. Nadège Gaborit, Moshit Lindzen and Tomer Meir Salame of the biological services department, and Ali Abdul-Hai, also of Kaplan Medical Centre; and research students Massimiliano Dall’Ora and Michal Sevilla-Sharon; together with Prof. Julian Downward of the London Research Institute. Yarden is the recipient of the 2015 Leopold Griffuel Prize for fundamental research, awarded by the major French association for fighting cancer, called ARC Foundation for Cancer Research. He is the incumbent of the Harold and Zelda Goldenberg Professorial Chair in Molecular Cell Biology. Weizmann Institute news releases are posted at wis-wander.weizmann.ac.il, and are also available at eurekalert.org. Dr. Ayelet Erez, a visiting clinician scientist from the Weizmann Institute in Rehovot, Israel, was invited to speak at B.C. Children’s Hospital earlier this month. The group was comprised of clinicians, researchers and clinical lab scientists. The event was organized by Dr. Hilary Vallance, a Weizmann Vancouver chapter member, who is director of the B.C. Newborn Screening Program and the Biochemical Genetics Lab within the department of pathology at the hospital. Erez gave a talk on argininosuccinic aciduria (ASA), a rare inherited disorder caused by a lack of the functional gene necessary to make an enzyme called argininosuccinate lyase. Her talk led to a discussion with members of the hospital’s metabolic division in attendance regarding various aspects of her research and how her findings could potentially improve the practice of treating patients with argininosuccinate lyase deficiency here in British Columbia. For more information on Erez or Weizmann Canada events in Vancouver, contact Jan Goldenberg, [email protected], or call 1-855-337-9611. When Weizmann Canada’s Leading Men Gala is held Nov. 16 in Toronto, Samuel Belzberg will be one of the 10 honorees and the only one from Western Canada. Vancouver-based Belzberg will be in the audience of 500 that night and he and other honorees will address the audience in a video presentation, revealing their thoughts, comments and inspiration. “We’ve never had an event on this scale before,” said Susan Stern, national executive director for Weizmann Canada. “But it’s our 50th anniversary and we wanted to do something really special.” The national event has an ambitious financial goal of raising $5 million to support the Weizmann Institute of Science in Rehovot, Israel. Speakers include actor William Shatner and Prof. Oded Aharonson, who will deliver a multimedia presentation about his research on extraterrestrial oceans. Stern said she expected the dinner to sell out, adding that tables start at $50,000 and that there are various levels of sponsorship. In selecting the honorees for the gala, Weizmann Canada’s goal was to find individuals who had distinguished themselves as leaders in their field, who understood the value of giving back and who had done something special in areas of research that were close to their hearts. Belzberg was an easy choice. Founder and chairman of Gibralt Capital Corp. and Second City Real Estate, his two companies manage and own more than $500 million of real estate and capital investments. Back in 2001, he created Action Canada, which, in partnership with the federal government, endows 20 fellowships each year to Canadians who want to make a difference in the world. It’s easy to look at the dollar figures his companies represent and assume that life has been just rosy for Belzberg, a father of four who boasts 16 grandchildren and eight great-grandchildren. But look a little deeper and it becomes clear that every family has its own unique battles. In Belzberg’s case it was the illness of one of his daughters, Cheri, who was diagnosed with dystonia, a neurological disorder that impacted her mobility and speech. Back in the 1970s, when doctors were trying to diagnose her condition, finding the right diagnosis took four to five years. “Nobody knew the first thing about it in those days,” he said. Belzberg would change that, establishing the Dystonia Foundation with neurologist Stanley Fahn in 1976. The foundation has made significant contributions to clinical and diagnostic treatments though, sadly, none of them helped Cheri. Still, Belzberg is encouraged by the progress in research and the fact that it has given thousands of people cures for the disorder, as well as counseling and support. Belzberg has established many other initiatives, too. “He’s done so much for the community, locally, nationally and internationally – it’s unbelievable,” Stern said. In 1977, he created the Simon Wiesenthal Centre and the Museum of Tolerance in Los Angeles. The mission of the centre is to confront antisemitism, promote human rights and ensure that the Holocaust is never forgotten. Our species’ waking and sleeping cycles – shaped in millions of years of evolution – have been turned upside down within a single century with the advent of electric lighting and airplanes. As a result, millions of people regularly disrupt their biological clocks – for example, shift workers and frequent flyers – and these have been known to be at high risk for such common metabolic diseases as obesity, diabetes and heart disease. A new study published in Cell, led by Weizmann Institute scientists, reveals for the first time that our biological clocks work in tandem with the populations of bacteria residing in our intestines, and that these micro-organisms vary their activities over the course of the day. The findings show that mice and humans with disrupted daily wake-sleep patterns exhibit changes in the composition and function of their gut bacteria, thereby increasing their risk for obesity and glucose intolerance. A consensus has been growing in recent years that the populations of microbes living in and on our bodies function as an extra “organ” that has wide-ranging impacts on our health. Christoph Thaiss, a research student in the lab of Dr. Eran Elinav of the Weizmann Institute’s immunology department, led this research into the daily cycles of gut bacteria. Working together with David Zeevi in the lab of Prof. Eran Segal of the computer science and applied mathematics department, and Maayan Levy of Elinav’s lab, he found a regular day-night cycle in both the composition and the function of certain populations of gut bacteria in mice. Despite living in the total darkness of the digestive system, the gut microbes were able to time their activity to the mouse’s feeding cycles, coordinating daily microbial activities to those of their host. Does this finding have any medical significance? To further investigate, the researchers looked at “jet-lagged” mice, whose day-night rhythms were altered by exposing them to light and dark at different intervals. The jet-lagged mice stopped eating at regular times, and this interrupted the cyclic rhythms of their internal bacteria, leading to weight gain and high blood sugar levels. To verify these results, the scientists transferred bacteria from the jet-lagged mice into sterile mice; those receiving the “jet-lagged microbes” also gained weight and developed high blood sugar levels. The research group then turned to human gut bacteria, identifying a similar daily shift in their microbial populations and function. To conduct a jet-lag experiment in humans, the researchers collected bacterial samples from two people flying from the United States to Israel – once before the flight, once a day after landing when jet lag was at its peak, and once two weeks later when the jet lag had worn off. The researchers then implanted these bacteria into sterile mice. Mice receiving the jet-lagged humans’ bacteria exhibited significant weight gain and high blood sugar levels, while mice getting bacteria from either before or after the jet lag had worn off did not. These results suggest that the long-term disruption of the biological clock leads to a disturbance in their bacteria’s function that may, in turn, increase the risk for such common conditions as obesity and imbalances in blood sugar levels. Also participating in this research were Gili Zilberman-Schapira, Jotham Suez, Anouk Tengeler, Lior Abramson, Meirav Katz and Dr. Hagit Shapiro in Elinav’s lab; Tal Korem in Segal’s lab; Prof. Alon Harmelin, Dr. Yael Kuperman and Dr. Inbal Biton of the veterinary resources department, Dr. Shlomit Gilad of the Nancy and Stephen Grand Israel National Centre for Personalized Medicine; and Prof. Zamir Halpern and Dr. Niv Zmora of the Sourasky Medical Centre and Tel Aviv University. Weizmann Institute news releases are posted at wis-wander.weizmann.ac.il and eurekalert.org.